Every garden in Scotland can grow bulbs. Bulbs are particularly useful for extending the season (both early and late) and also for growing in between shrubs and plants in borders. Most have a dormant period below ground, allowing their neighbours room to grow and flower. An annual topdressing with compost or well-rotted manure will keep them happy just as they are dying down. If you forget to plant them in Autumn you can buy potted bulbs in early Spring. H3-5 A large genus including onions, garlic and chives, as well as many highly ornamental species, which form clumps of mostly strap-shaped leaves and flower mostly in May-June. The flowerheads form a large spherical globe of many individual flowers. Alliums prefer full sunshine and a well-drained soil. Slugs, river voles and white rot can cause problems, and in the latter case, bulbs should be lifted and destroyed. In general they should be planted 15cm deep. The taller varieties are useful for the middle of a border. A few members of this genus, e.g. Allium moly and A. neapolitanum can become a pest as they spread and seed everywhere. (glory of the snow) H5 (10-20cm) Beware of this early spring charmer, because it can become a menace, seeding everywhere. In the right place however, its bright flowers brighten up late winter and early spring. They thrive in most soils and are good for naturalising at the edge of borders or in light shade beneath trees and shrubs. They should be planted in groups, about 5cm deep in autumn. They are fully hardy (H5) and usually trouble free. (autumn crocus, naked ladies) H5 $ Not a crocus at all, this is a wonderful, tough and easy plant which provides autumn colour, with their huge crocus-like floral goblets in warm shades of pink, mauve and creamy-white. The flowers appear naked, without the large green clumps of leaves which come up in spring. Colchicums prefer well-drained soil in full sun, and should be planted 10cm deep in late summer. The foliage has a tendency to flop over and smother small neighboring plants. H4/5 A harbinger of spring with their instantly recognisable funnel-shaped flowers, which open wide in the sun. They are great for naturalising in lawns and at the edge of borders, preferring a sunny position in well-drained soil. They should be planted 7.5cm deep (10-15cm in very light sandy soils) in autumn, and can be left alone for years. Birds have an annoying habit of attacking yellow-flowered crocus, and black thread can be tied to sticks to deter them. Mice and squirrels like the taste of the corms, especially when newly-planted, and if this becomes an issue, try placing chicken wire over them. There are hundrerds of both small and large-flowered forms, just choose the colours you like. H3-5 A varied genus, including some wonderful small to medium-sized spring flowering garden plants. In general, they prefer a well-drained soil, in full sun or part shade. F. imperialis (Crown imperial) H4 (to 1.5m) a showy rather vulgar border plant, leaf-topped flower spike, packed with drooping orange, yellow (Lutea) or deep red (Rubra) bells. Plant 20cm deep in autumn. F. meleagris H4-5 (Snake’s head fritillary) (30cm) snakeskin-patterned flowers in shades of purple, pink and white. Good for naturalising in grass (although it can be fickle), it should be planted 15cm deep. Rosa Steppanova does well with it in Shetland. H3-5 One of the first plants to flower after Christmas, there are many wonderful snowdrop displays in Scotland, with Cambo in Fife being perhaps the best known. 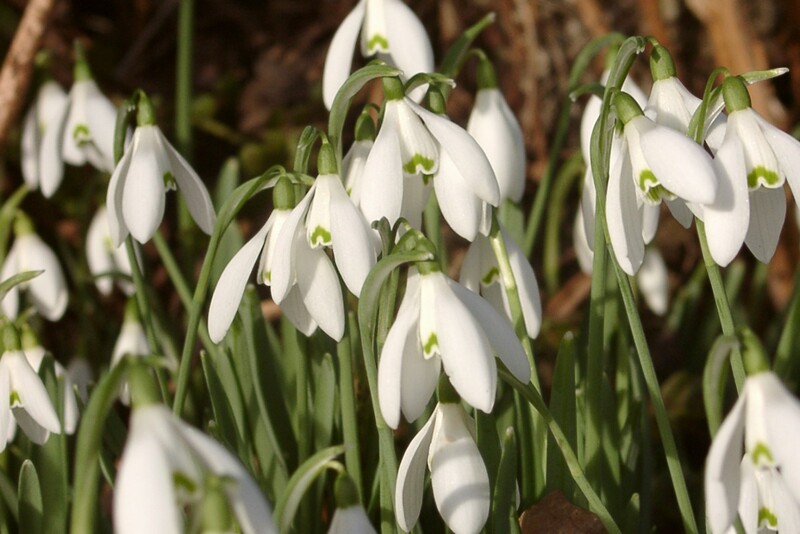 Though they look perfectly at home here, snowdrops actually come from Turkey and neighbouring countries. They form small clumps of strappy leaves with stems of nodding white and green flowers in winter (about 12-15cm high), disappearing entirely by the end of June. Plant snowdrop bulbs 10-15cm deep in late summer or early autumn, no later than September, or buy ‘in the green’ in late spring, after flowering. Plant in fertile, well-drained soil in light shade. Do not buy wild-sourced bulbs, only those from cultivated stock. G. nivalis (common snowdrop) H5 white with a green splash, ‘Flore Pleno’ double. (bluebell) H5 Bluebell woods are one of Britain’s great wild-flower displays. They also make robust and versatile garden plants, although they can spread beyond their desired location. 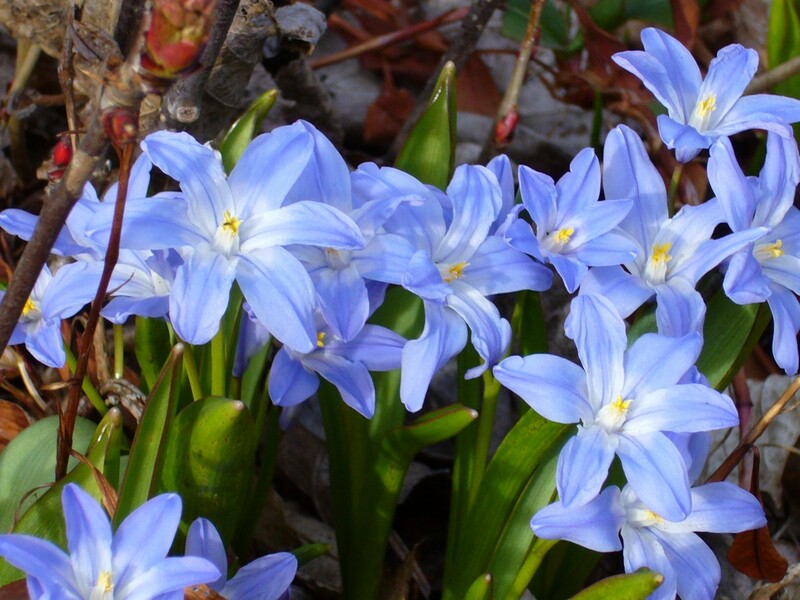 The bulbs form clumps of fresh green strap-like leaves, with scented blue, mauve or white flowerspikes in late spring. They should be planted 10-15cm deep in autumn, in sun or part shade, in moist but not boggy, humus-rich soil. 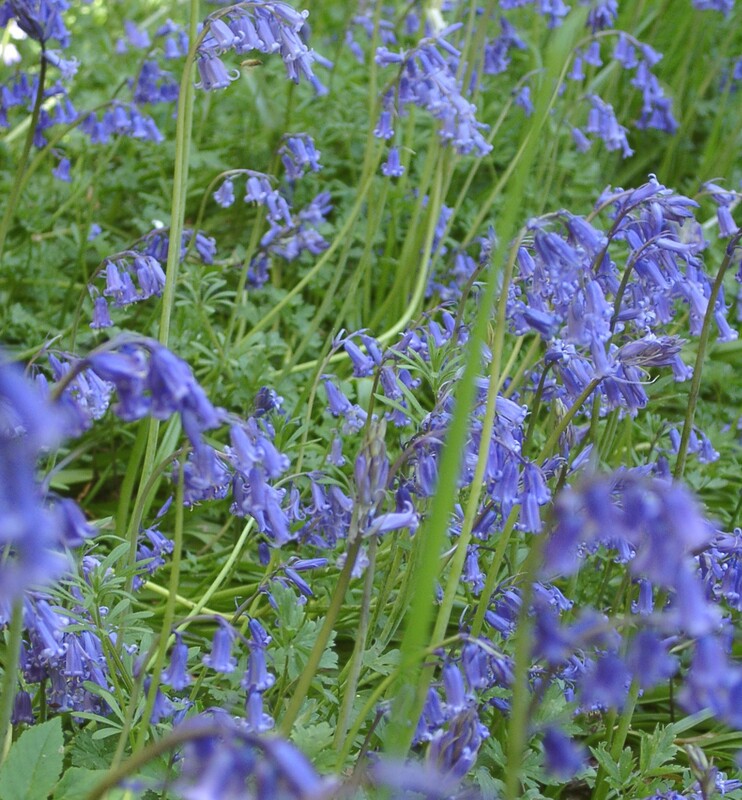 The vigorous, seemingly larger and more erect flowering Spanish bluebell is more invasive than the English type (more graceful, nodding stems), and it is likely to become illegal to naturalise these. Both reach 30cm. H. hispanica (Spanish bluebell) blue, white or pink, H. non-scriptus (English bluebell) scented blue, pink or white flowers on stems which bend near the top. H4 These bulbs produce pretty, scented (sometimes sickly-sweet) flowerspikes, instantly recognisable from Christmas baskets or park bedding schemes. They can be useful garden plants, although they perhaps do not associate as well with other plants as other bulbs do. Plant garden hyacinths about 15cm deep in full sun or light shade, in any well-drained soil. Take care handling the bulbs as they can cause skin irritation. H3-5 Fabulous, versatile and showy plants, great for growing in borders, pots and for cut flowers. Lily bulbs produce stems of grassy to broad green leaves, at the tops of which appear the dramatic, often strongly scented flowers, in a wide range of colours, in trumpet, turks’ cap, or open-faced shapes. 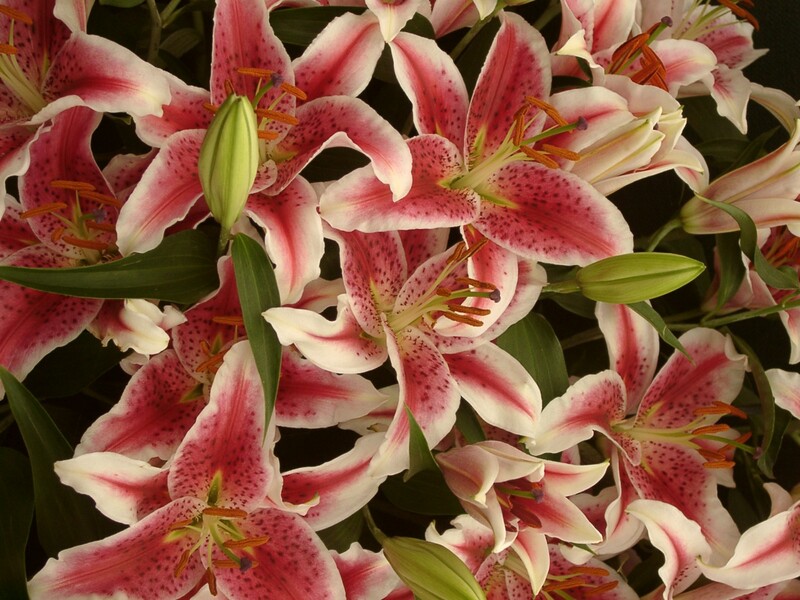 Hardiness is difficult to gauge, as some lilies are short-lived, and most are susceptible to a diverse selection of viral and fungal ills, as well as animal attacks from slugs, rots, lily beetle, and vine weevil. The naming of lilies is another fun adventure for the poor gardener, and there are many distinct groups, including Asiatic, Martagon hybrids, Candidum cultivars, American cultivars, Longiflorum cultivars, Trumpet cultivars, Oriental Cultivars, Regale group, and Tigrinum group. There are huge numbers of hybrids which do very well in Scotland. Most lillies will not survive in permanently cold, damp soils, and as a precaution should be planted with sharp grit or sand beneath the bulb. Plant most of them 15-20cm deep. H3-5 (15-20 x 10cm) Grape hyacinths are great little blue or white-flowered spring bulbs to group at the front of borders or naturalise beneath open shrubs like roses. They do, however, have a tendency to spread everywhere, and once you’ve got them, you can’t get rid of them. They prefer a sunny position in any soil with reasonable drainage. Plant 7.5cm deep in autumn. 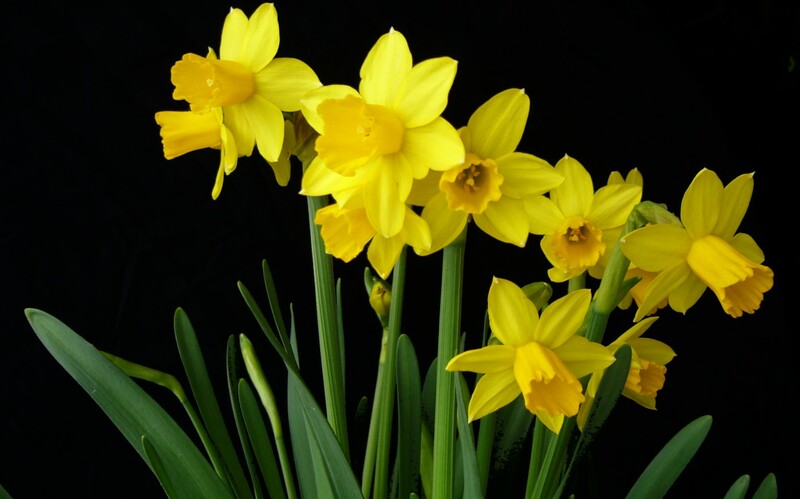 H5 Daffodils are one of the easiest garden plants to grow. Thin strap-like leaves, with taller stems with yellow or white flowers in spring. Leave foliage after the blooms have gone, to store food for next year’s flowers. Lift and dividing clumps that go ‘blind’ with masses of leaves and few flowers. Daffodils are planted in autumn, with the amount of soil above them roughly equal to double the height of the bulb. 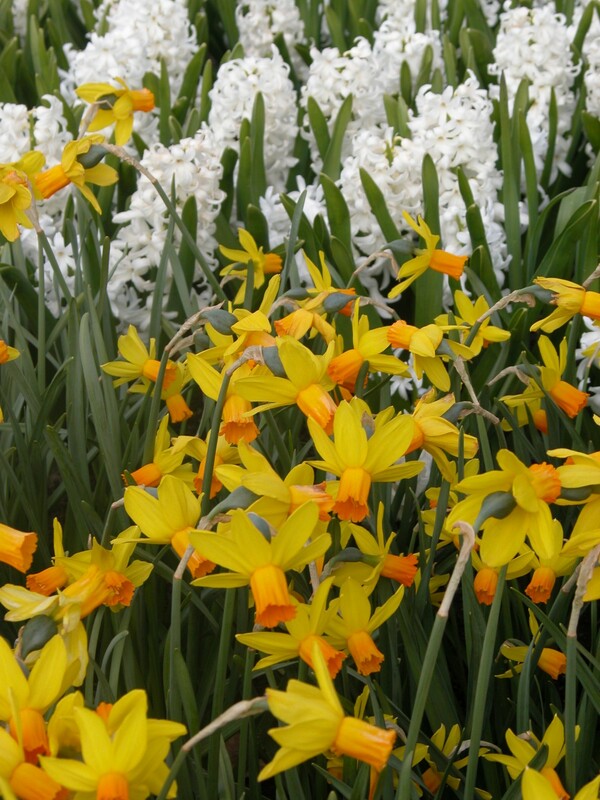 Daffodils like sunny or lightly shaded sites, in a rich, moist soil with adequate drainage. There are many charming low growing varieties for the small garden, border and rockery. Varieties include: ’Quail’, ‘Pipit’, ‘Rip Van Winkle’, ‘Tête a Tête’ etc. To naturalise daffodils in grass, the best are the vigorous types such as ‘King Alfred’. H5 These fascinating woodlanders are well suited to Scottish conditions, with clumps of distinctive and often patterned leaves and irresistible flowers, in a range of colours, in April and May. They thrive in rich, moist, well-drained soils, in shady conditions, and the rhizomes should be planted 10cm deep in late summer or from pots in spring. They spread slowly, forming impressive drifts in time. Keep an eye out for slugs. Available as bulbs in Autumn and in pots in Spring. We never have enough to keep up with demand. 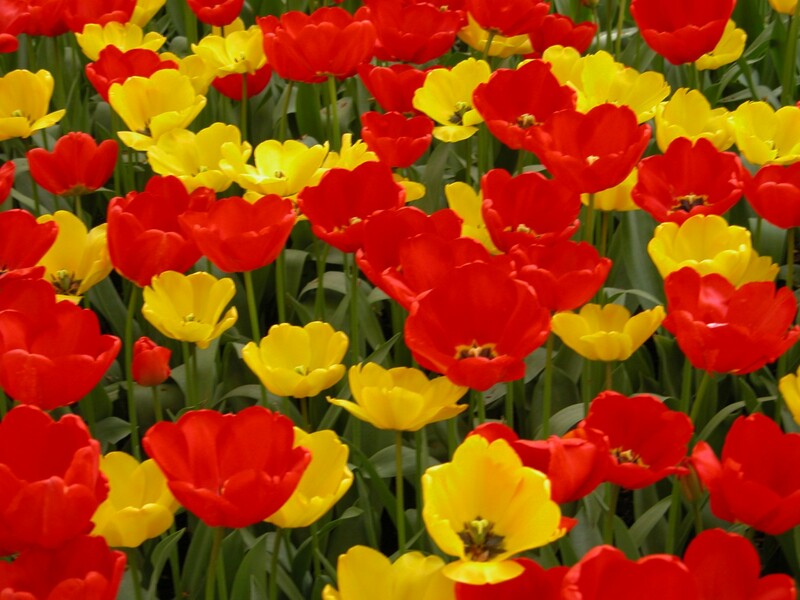 Almost everyone loves tulips, with their brightly-coloured goblet shaped flowers in spring. They like free-draining soils in a sunny position. Most larger hybrids tend to weaken if not lifted and replanted each year, unless you can create a sunny bed with excellent drainage. Plant them in September to November in the garden or in pots. Some dwarf species and hybrid tulips which can be naturalised (planted and left in situ) in well-drained, sunny soil c.10cm deep. Bulbs are excellent for containers or borders. 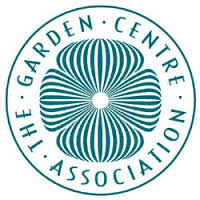 Spring flowering bulbs are available from August onwards. Best to plant them before October for the early flowerers like snowdrops and bluebells. September to November is fine for tulips and daffodils. Plant tender summer-flowering bulbs, including gladioli, in early spring. Most hardy bulbs, including tulips and daffodils, prefer a warm, sunny site with good drainage as they come from areas with dry summer climates. 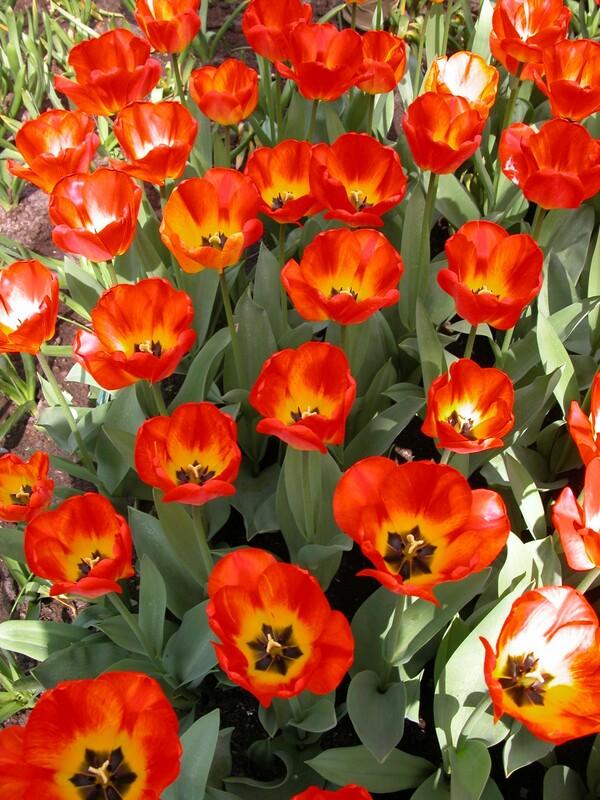 Most bulbs are planted when dry, in a dormant, leafless, near rootless state. Plant as soon as possible and before they dry out or sprout. They may flower poorly following later than recommended planting or after long storage. 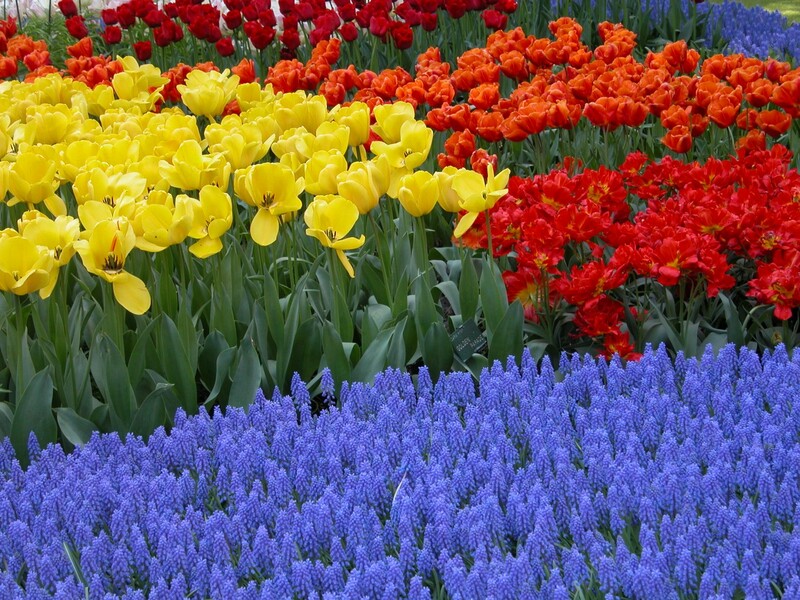 We recommend planting in groups 5-20 or more, as the more bulbs that are grouped together, the better the display. 25 to 50 of something will make an amazing show. Dig a hole wide and deep enough for your bulbs. Many bulbs are ideal for growing in containers. Use a gritty or open compost, by adding grit or perlite to compost or use bulb fibre. Water bulbs regularly when in active growth.